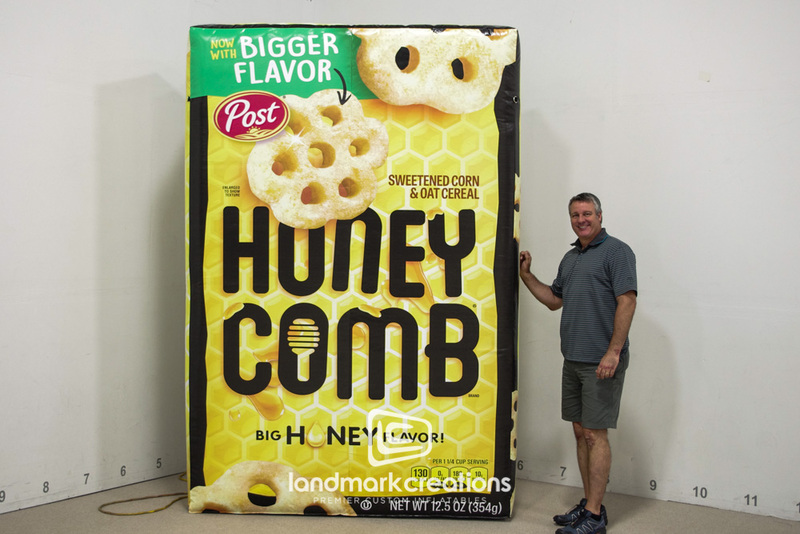 Honeycomb Cereal Creates Buzz for their product with 9” Inflatable Replica! Honeycomb cereal advertises their classic cereal in a new way, with a giant inflatable. Inflatables are sure to create buzz at any trade show or PR events your brand attends.